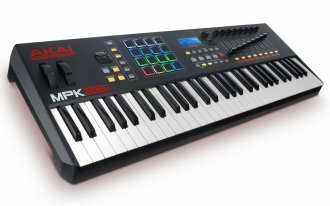 MPK261 is armed with powerful production software--Ableton Live Lite and MPC Essentials--for out-of-the-box music creation. Ableton Live Lite is a fluid audio/MIDI environment that enables musicians and producers to spontaneously compose, record, remix, improvise, and edit musical ideas. MPC Essentials, a groove/beat production and sample-triggering software, can integrate directly into any DAW, such as Ableton Live Lite, or run standalone. 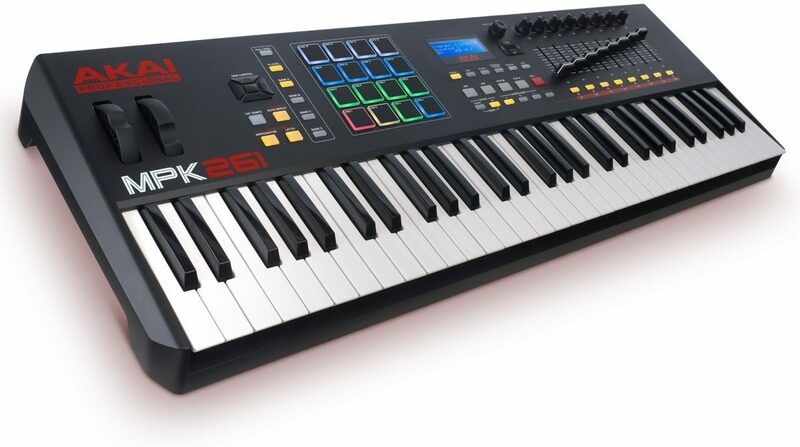 In addition, it extends the power of MPK261 by adding up to 8 pad banks and 4 samples and insert effects per pad. - Dimensions: 35.63" x 12.25" x 3.38"